Pigs Do Fly Productions’ Fifty Plus – A Celebration of Life… As We Know It sold out almost every performance when it played at Empire Stage in May. 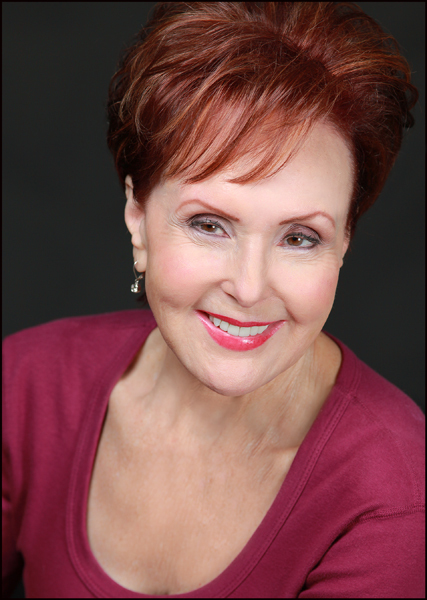 The good ‘word of mouth’ and positive reviews intrigued Showtime Performing Arts Theatre’s Marilyn Perry; she attended a performance and liked what she saw – so much so that she issued an invitation to Pigs Do Fly producer Ellen Wacher to reprise the production at Perry’s own theatre in Boca Raton. Wacher quickly contacted directors Beverly Blanchette and Marj O’Neill-Butler, as well as actors Todd Caster, Mark Kroczynski, Kitt Marsh, Troy J. Stanley, Carol Sussman, and Janet Weakley, along with the technical crew associated with the Empire Stage production, all of whom came on board immediately. The ‘encore’ edition of Fifty Plus – A Celebration of Life… As We Know It! will run from August 14th through August 24th at Showtime Performing Arts Theatre in Boca Raton. Tickets for Fifty Plus – A Celebration of Life… As We Know it are $30 and are on sale now. Tickets can be purchased on line at www.pigsdoflyproductions.com, or by calling 866-811-4111. All performances will take place at Showtime Performing Arts Theatre, 503 SE Mizner Boulevard, #73, in Boca Raton (33432). Joan Broadman (Theatre in the Red) has written twelve short plays, three full-length plays, and three feature-length screenplays. Her plays have been performed in twelve states, Australia, India, Malaysia, and the Philippines. Her many playwriting awards include “Excellence in Playwriting” from the Theatre Association of New York State. In June 2013, Broadman completed UCLA’s Professional Program in Screenwriting. Steven Korbar’s (Mrs. Jensen Isn’t Here Now) full-length and one-act plays have been produced throughout the United States and Canada. Productions include I Understand Your Frustration at the Turtleshell Theatre NYC, Let Go at Future Ten in Pittsburgh, Hard at Elephant Stageworks in LA, Circles at Shelterbelt Theatre in Omaha. His comedy What Are You Going to Be was recently published as part of Smith and Kraus’ “Best Short Plays of 2013”. Rebecca Gorman O’Neill (Poison Control) was born in Akron, Ohio. She escaped at age 17 to attend Dartmouth College, and she went on to earn her M.F.A. in Dramatic Writing from Carnegie Mellon University. Rebecca’s original plays have been produced across the country, and her plays Tell-Tale and The Greater Good are available from Eldridge Publishing and Next Stage Press, respectively. Rebecca is an Associate Professor of English at Metropolitan State University of Denver, where she reaches playwriting, screenwriting, cinema studies, and the graphic novel. Marj O’Neill-Butler, (Flight Fright) a member of the Dramatists Guild and the International Center for Women Playwrights, is a produced playwright of True Blue, eight Theatre for Children scripts, short plays Stalwart Woman, At The Bus Stop, Life Imitates Art, Leaving Home, What If?, Scavenger Hunt, Missed Connections, Elf Yourself, Chairs, One Less, and a reader’s theatre script The Women Of The Beat Generation. She is proud member of Equity and SAG-AFTRA. Visit her online at www.marjorieoneill-butler.com. Rich Rubin’s (How Nice of You to Ask) plays have been produced throughout the U. S., including theaters in New York, Chicago, Seattle and Los Angeles. Internationally, his work has been staged in London, Berlin, Sydney, Singapore, Mexico and Canada. Rich is a proud member of the Dramatists Guild as well as Portland’s Nameless Playwrights and P-Town Playwrights. David Susman’s (Spice) short plays have been staged at the Boston Theater Marathon, the Maine Playwrights Festival, the Playwrights’ Platform Festival of New Plays in Boston, the Company Theatre’s Winter Shorts Festival in Norwell, MA, and the 0-60 Ten Minute Play Competition at Longwood University in Virginia. He lives and teaches in southern Maine. Mike Vogel’s (Kiss Her Goodbye) full-length comedy March Madness was successfully produced off-Broadway in Fall 2012 at NYC’s Abingdon Theatre. He has had numerous one act plays produced nationwide and also writes a weekly column for a NYC newspaper. Photos from the May 2014 Production of Fifty Plus – A Celebration of Life… As We Know It!